December 5th, 2011 - December 10th, 2011. 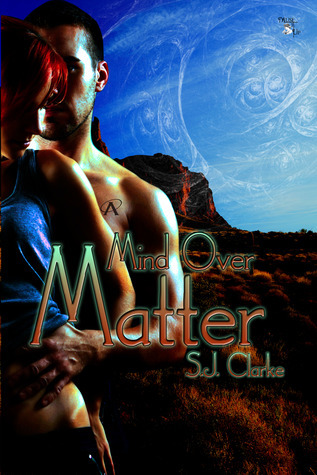 Mind over Matter (ASI #1) By Sandra Clarke! For three years Rebecca McKenney has been grieving the loss of her daughter. Now, a vision showing Sabrina three years older, suggests her baby is still alive, and the FBI agent who gave up the search is the only one who can help find her. Rebecca once witnessed a psychic connection between Agent Cooper and her daughter. She only hopes their fragile bond remains-and that the coward has the decency to pursue it. Special Agent Dan Cooper, haunted by a tragic mistake made early in the investigation, agrees to help Rebecca to ease his conscience, if nothing else. Together they fight inner demons, all too real bad guys, and an attraction neither wants to admit to. Each step closer to finding her daughter unearths wide-spread deception and an evil so vile it threatens to break Rebecca's spirit. The thought of having her daughter back in her arms is all that keeps her going. Until she learns the horrifying truth – her daughter is scheduled to die in mere days. To Enter, follow the instructions on the rafflecopter below! Thanks for offering a giveaway! I found your blog via Goodreads' creative review group. I'm now following you and grabbed your button for my blog. Would you please follow me? I do have button you can grab as well. Looks interesting!!! Thanks for the giveaway Anjana! Great giveaway. Just entered and thank you Anjana for all your lovely giveaways so far. Great work hun!